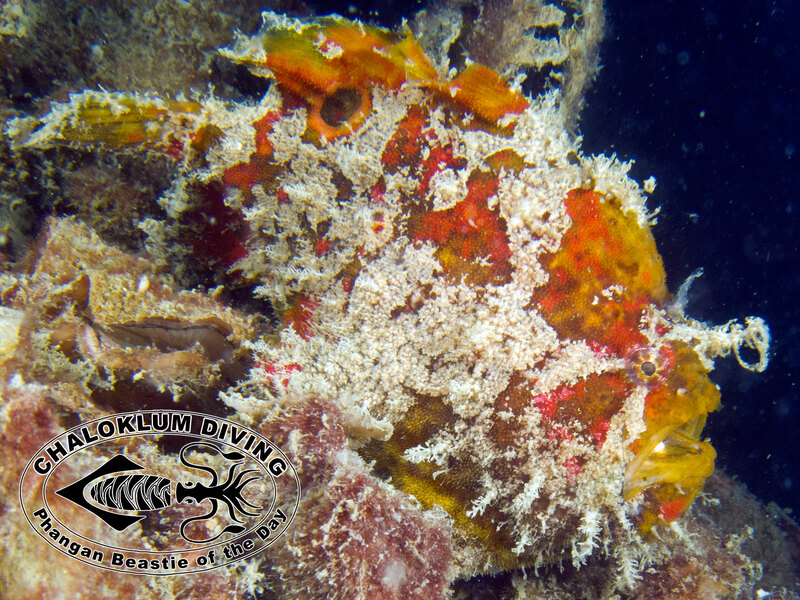 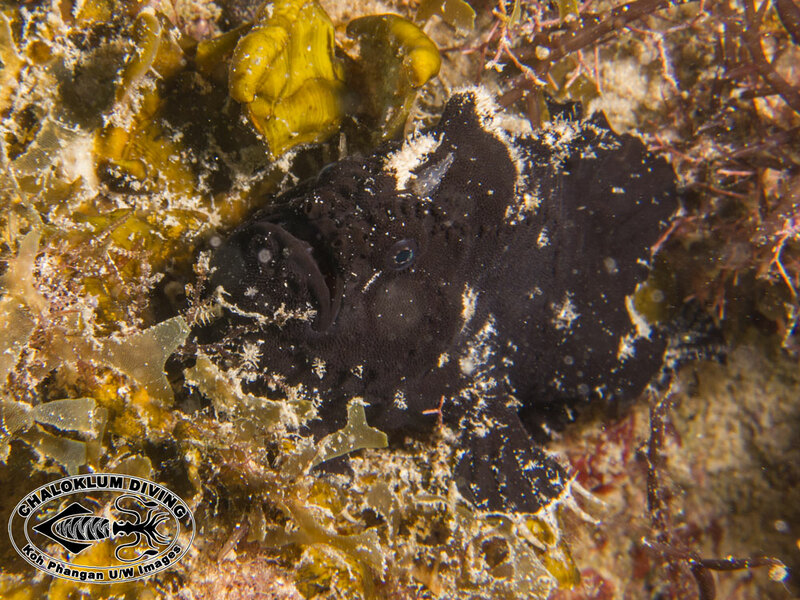 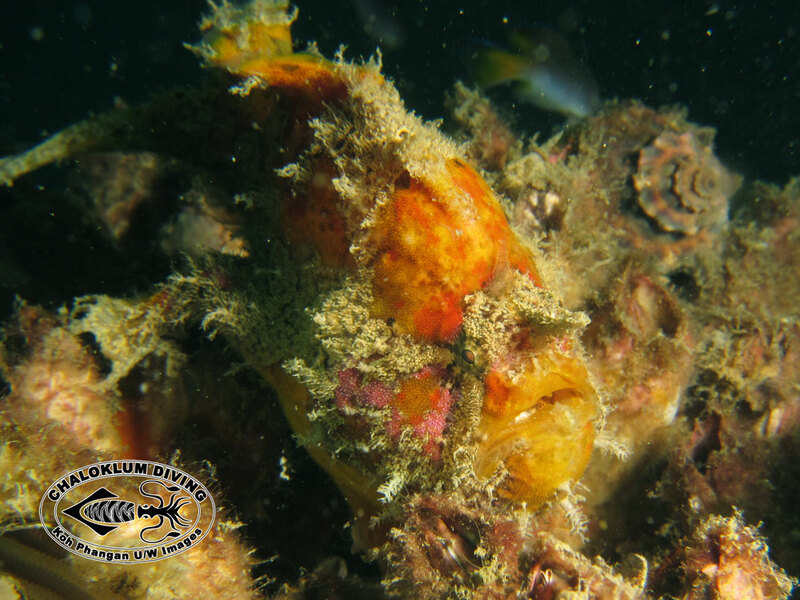 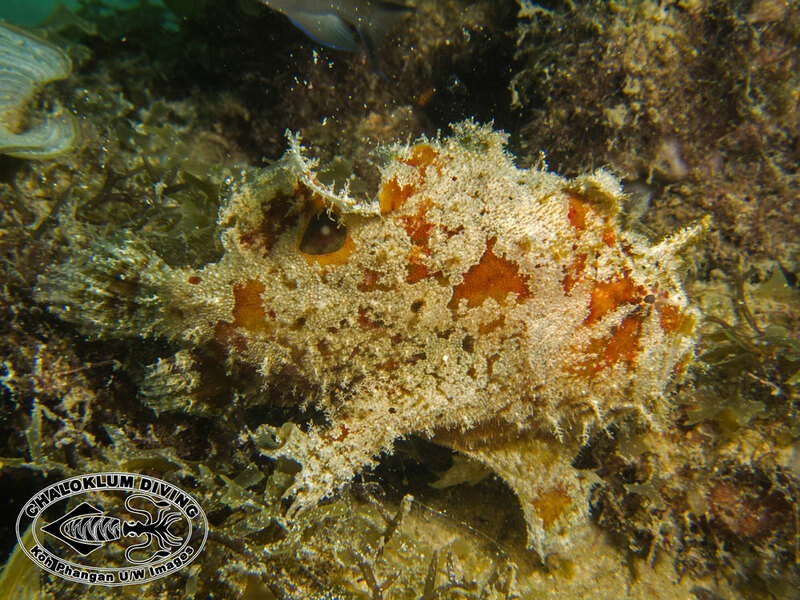 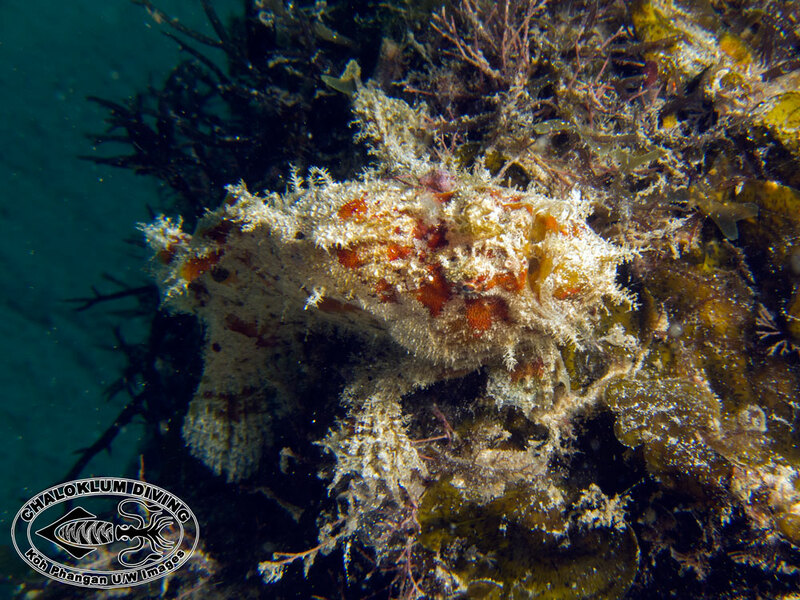 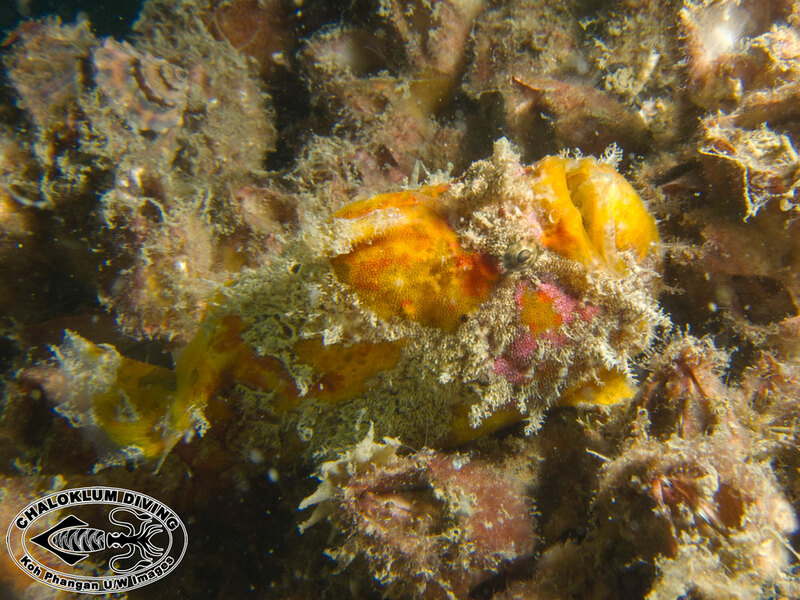 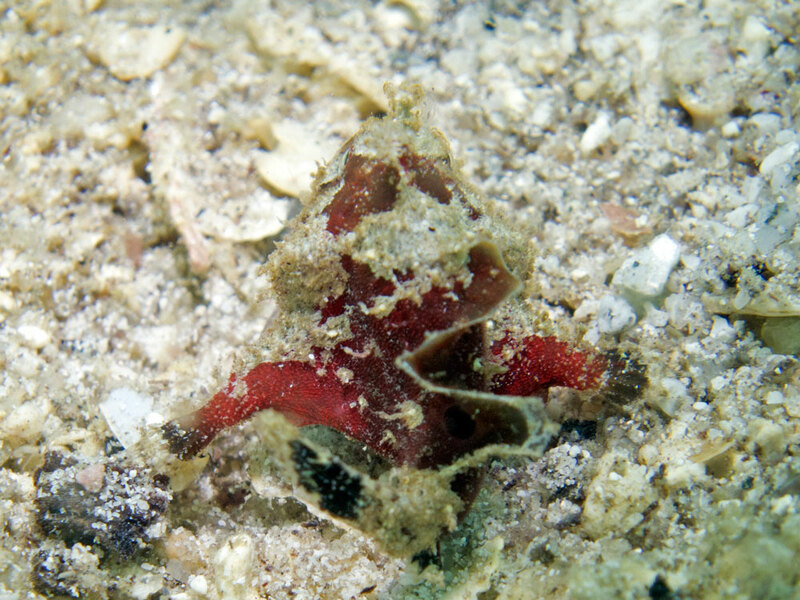 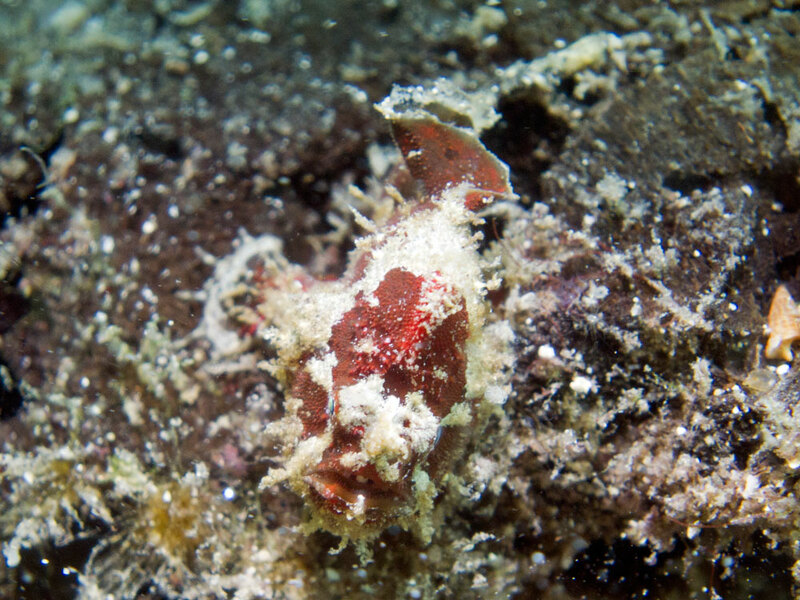 The first Frogfish images are from the 2nd encounter in November 2014 for 2 days in a row. 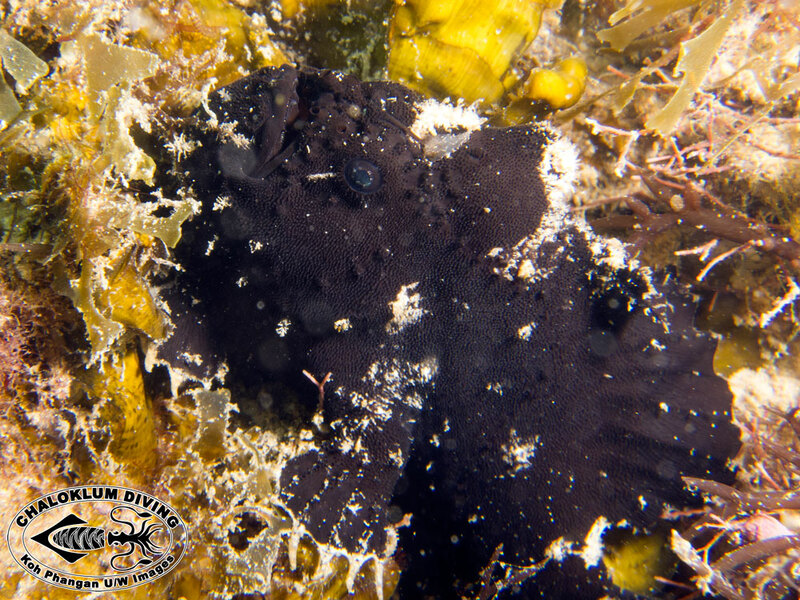 It’s probably Antennarius commerson – the black coloured juvenile is so hard to focus on – great camouflage! 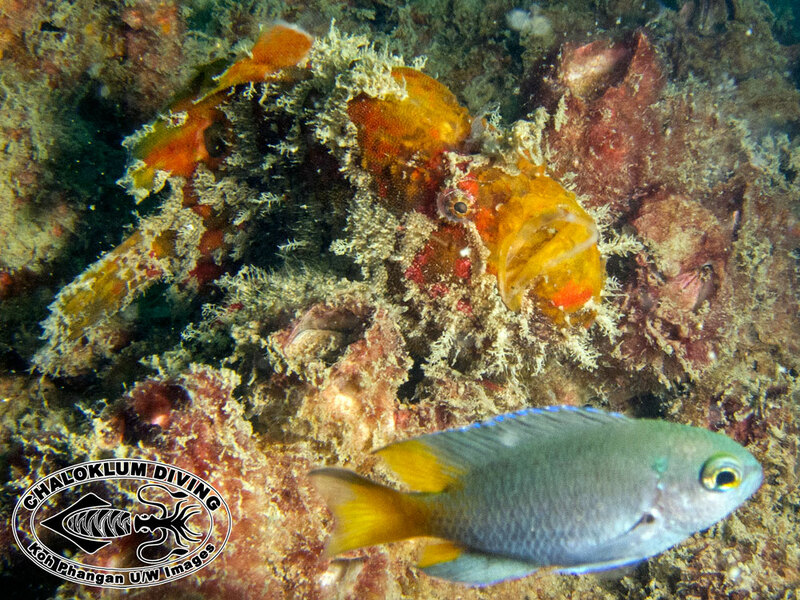 The final 4 photos are of the 1st sighting, taken when scuba diving in the shallows of Chaloklum Bay in 2012. 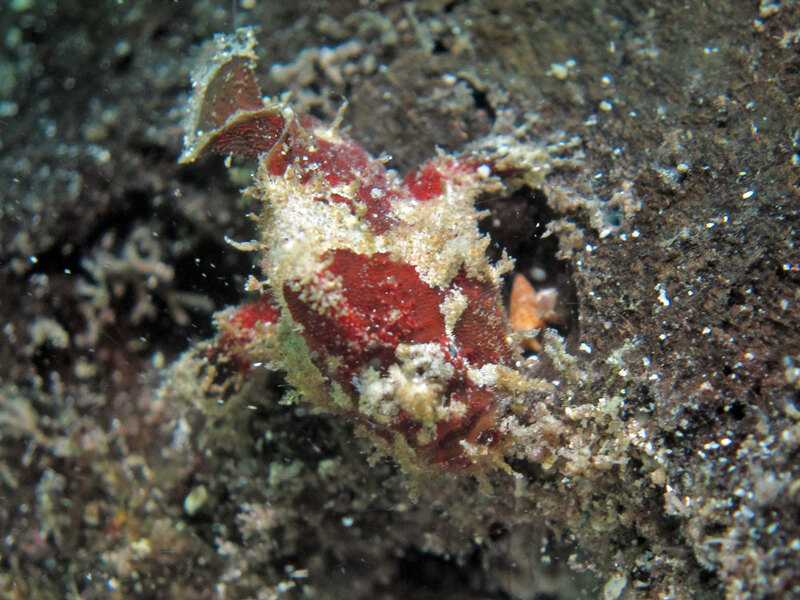 At first it was something red and very small that moved – it took a few minutes to get some idea of what it was! 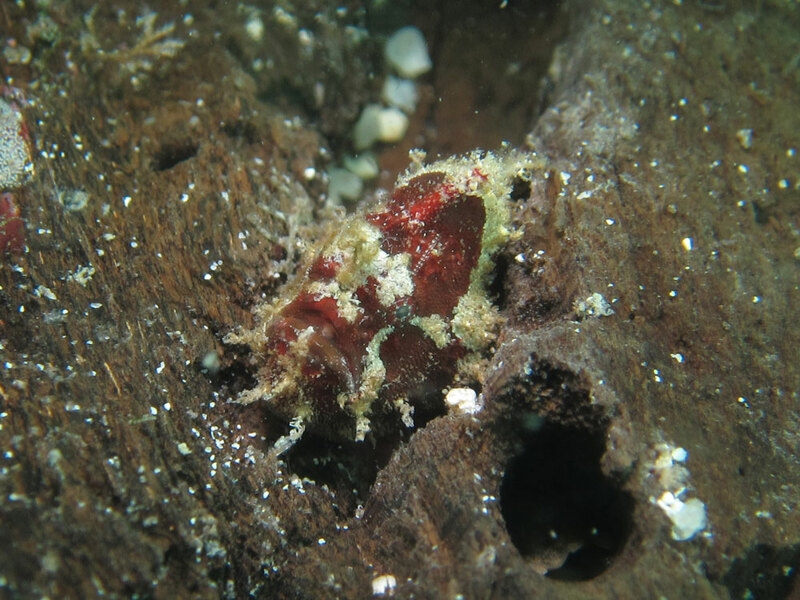 We think it’s a juvenile Antennarius biocellatus.